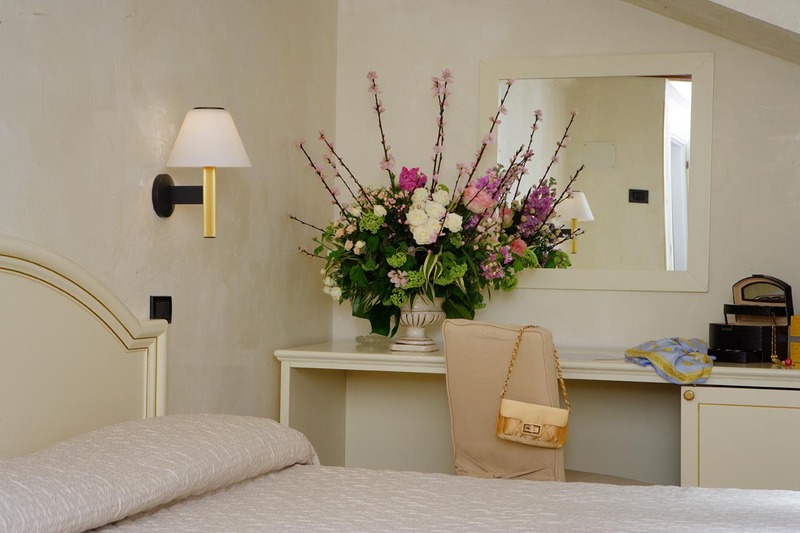 The roomsDiscover the warmth of our welcome, the comfort and relax we offer our guests, in the heart of the real Venice, the best starting point for the most beautiful memories. 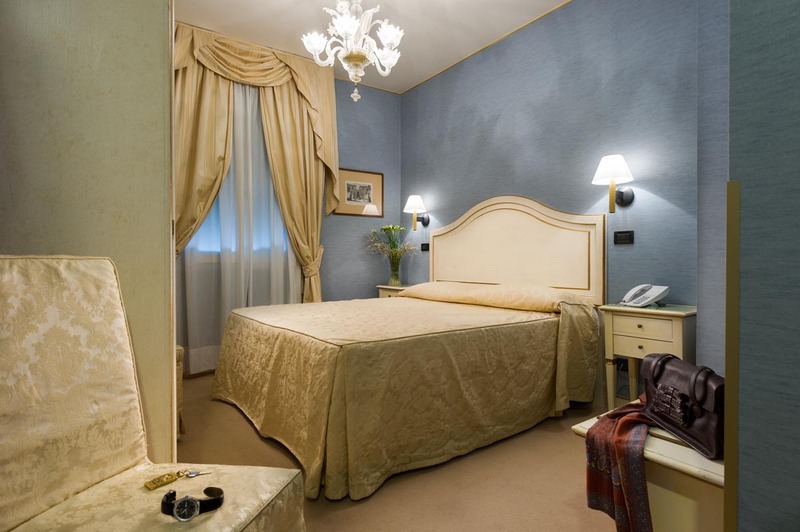 Where We AreThe commodity of the nearby terminals, the privilege of being in the heart of Venice, the most practical point of arrival and departure for all aspects of your Venetian adventure! Our Head Porter ServicesTake advantage of the competence and courtesy of our Head Porter Personnel. They can be your point of reference in Venice! 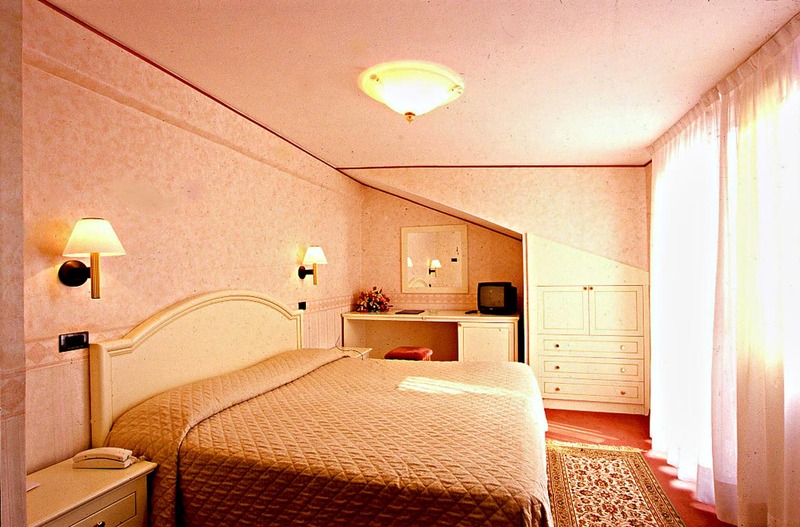 Our PackagesExperience the magic of Venice with our special packages, all inclusive. There is one for every need! Our Special OffersTake advantage of our special offers, last minute bargains, early booking discounts! All this and much more for our guests! Our PartiesExperience the romanticism, the joy, the refined atmosphere and all the magic of our special events. In Venice, it’s always time for a party. 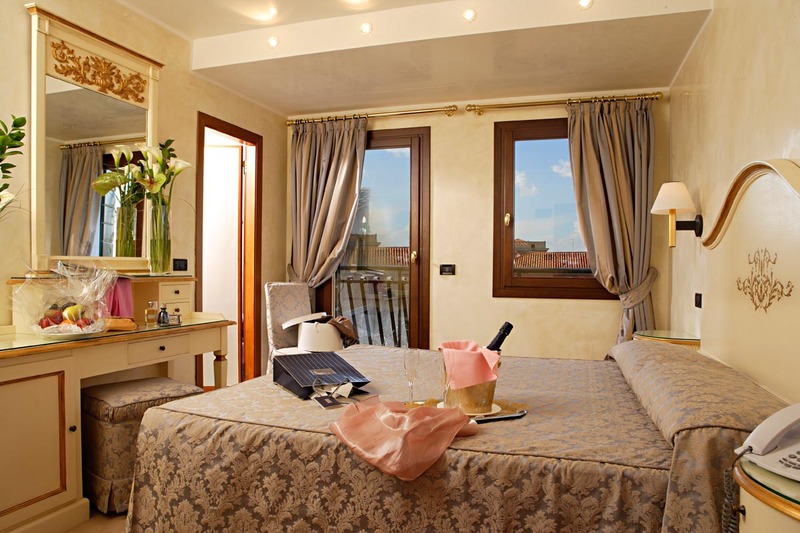 A quiet corner of pleasure and relax in the heart of Venice. 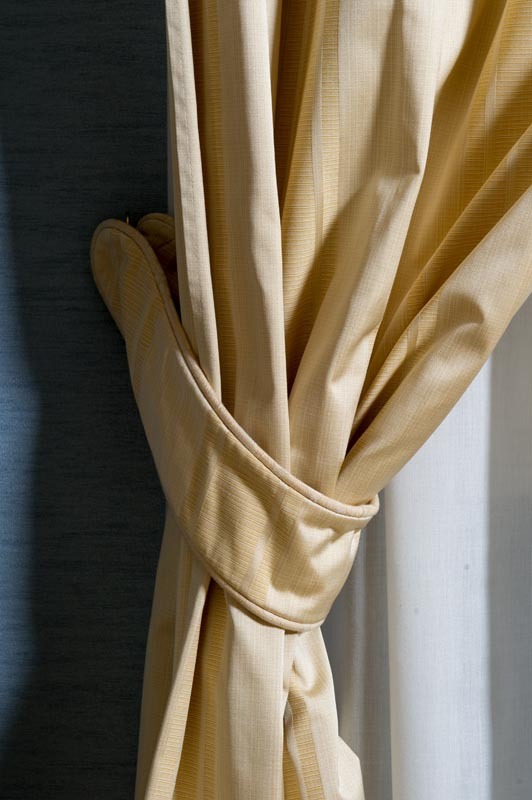 The most modern comforts for the most demanding guests. 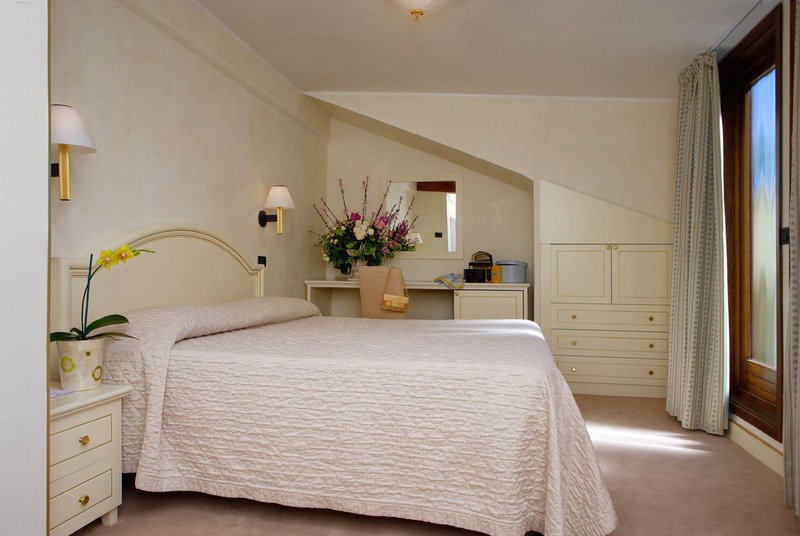 The Superior Double Rooms, larger and more spacious than the standard rooms offer even the most demanding guests a comfortable and refined environment. The decor is typical of Venice in the 1700s and the splendid chandeliers in Murano blown glass add extra value. 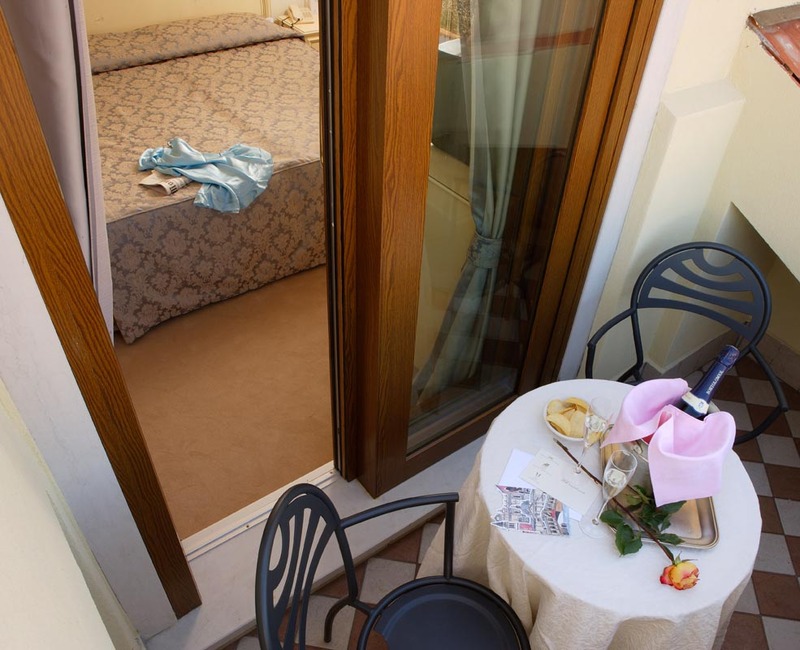 Some Superior Double Rooms have a magnificent terrace, with a view over the picturesque roofs of Venice, where guests may choose to have breakfast in the morning. 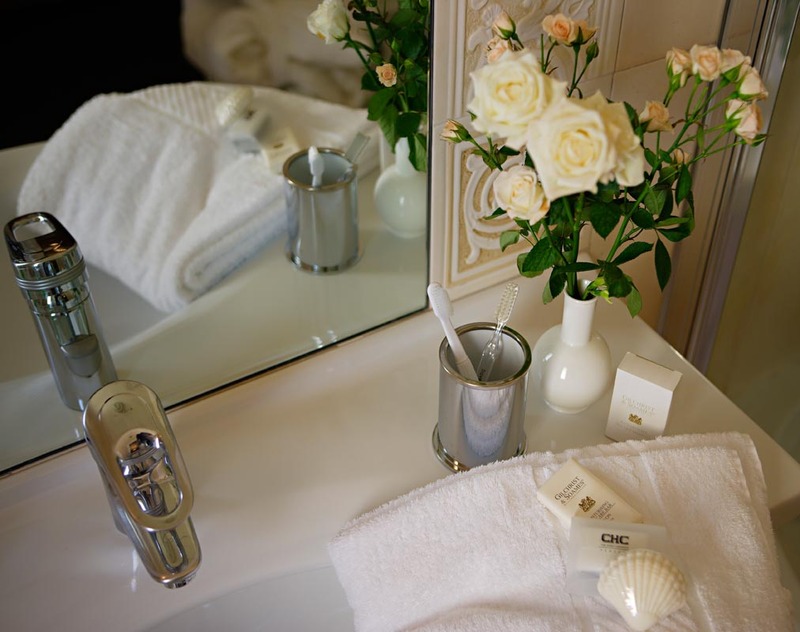 The private bathroom, with either bath or modern shower box, is equipped with a hair-dryer and an elegant, courtesy set of toiletries, personalised CHC.